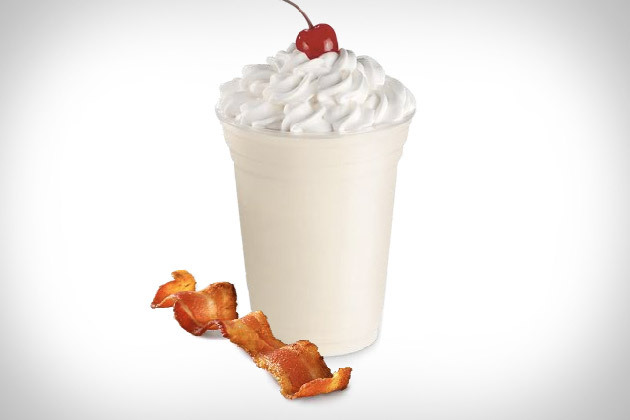 Late to the bacon craze, Jack in the Box has nevertheless jumped in wholeheartedly, advocating that we marry bacon…or at least eat their blt burger and bacon milkshake. Wait, bacon what? BACON MILKSHAKE. Creamy. Smoky. Surprisingly kosher AND vegetarian. But would you eat it? 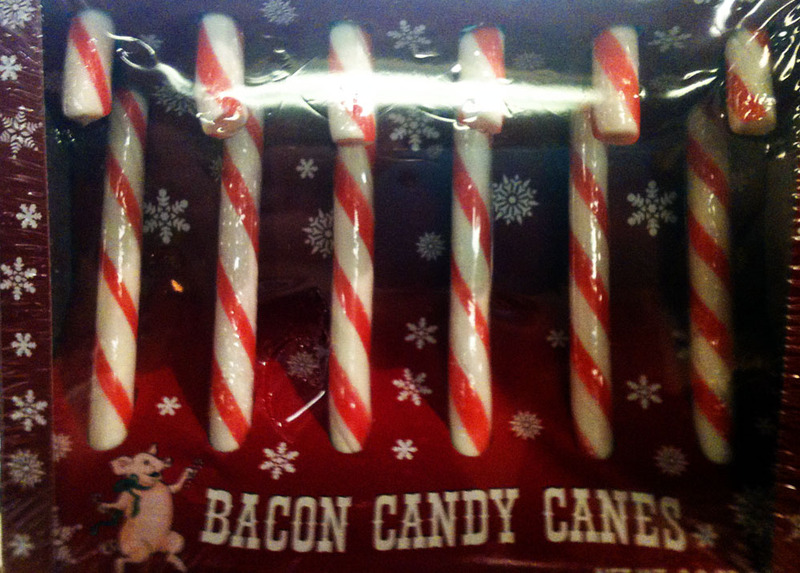 Pros: It’s a way of cramming more bacon into your lunch, especially for those who cannot normally eat bacon. It meets or exceeds government-established daily ice cream recommendations. As it’s neither artifically colored nor scented, it would be a wicked funny prank to give it to someone who thought they were getting a vanilla shake. Cons: Isn’t bacon kind of over? If it’s vegetarian, is it even technically bacon? There is every possibility that the combination of smoky and sweet might make you instantaneously heave up everything you’ve eaten for the last week. Nom or Vom: Second Servings of Sipping Pleasure Nom or Vom: Tis the Season Nom or Vom: Dorito or Dorit-nooooooo? Bacon Salt is kosher and vegetarian and I like it on cottage cheese. I could see this being pretty good. Man, I need to make some more candied bacon deviled eggs. I bought a jar of bacon salt and was a little underwhelmed by it, but at the time I was using it to help me gag down eggs in the morning (I used to hate them SO MUCH) so it probably didn’t help my overall impression of its baconiness.